Every once in awhile as we go through the mountain of material we have collected (or should I say Jerry Nathans has collected) from over the past 30+ years, some one will find something truly special or interesting. 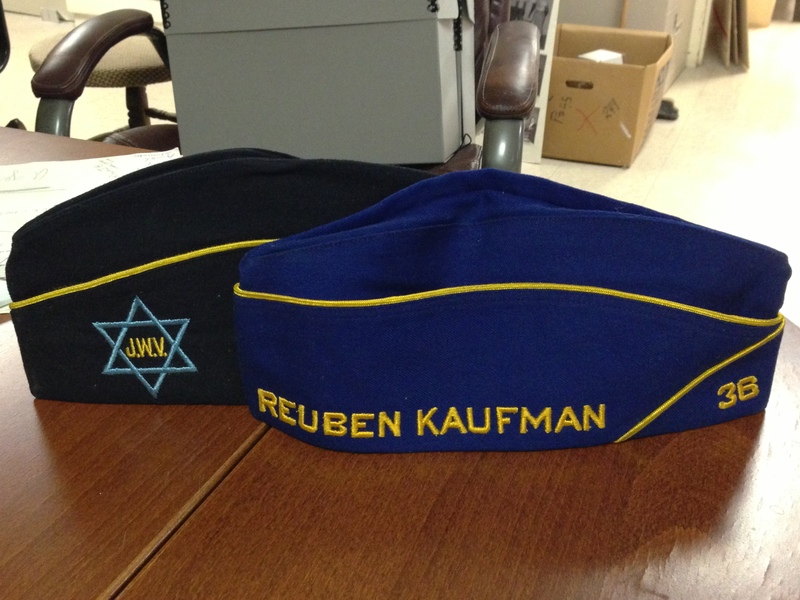 Today as we sifted through documents from the Jewish War Veterans, we stumbled across these great hats. We thought it would be great to share these with all of our readers. Come stop in and see these J.W.V Hats and much more. This entry was posted in Uncategorized and tagged archive. Bookmark the permalink.